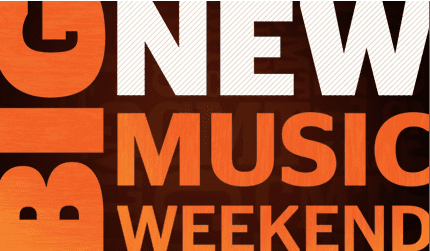 Beginning Friday, April 27 at 6 am ET/PT., CMT’s Big New Music Weekend will unveil 12 brand new country music videos, paired alongside some of the biggest recent hits. The event will include exclusive world premieres by Lady Antebellum (“Perfect Day”); Lee Brice (“Hard to Love”); Kix Brooks featuring Joe Walsh (“New to This Town”); a new version of Thompson Square’s “Glass;” Easton Corbin (“Lovin’ You is Fun”); David Nail (“The Sound of a Million Dreams”); Dustin Lynch (“Cowboys and Angels”); Aaron Lewis (“Endless Summer”); JT Hodges (“Goodbyes Made You Mine”); Casey James (“Cryin’ On A Suitcase-Live”); Thomas Rhett (“Something To Do With My Hands”) and Sonia Leigh (“Bar”). Additionally, the weekend will include the newest videos by superstars Carrie Underwood; Miranda Lambert; Jason Aldean; Rascal Flatts; Luke Bryan; Taylor Swift with The Civil Wars; Eric Church; Kenny Chesney and Tim McGraw; Martina McBride and Train; and Kelly Clarkson. Many of the featured premiere videos will include a personal introduction by the artist. Additionally, all of the Big New Music Weekend videos will be highlighted across CMT’s digital platforms including CMT.com, Facebook and @FollowCMT on Twitter.